The water aqua play are vivid and cute, making visitors feel like playing with the cute animals, as if they are in a fairytale water world. 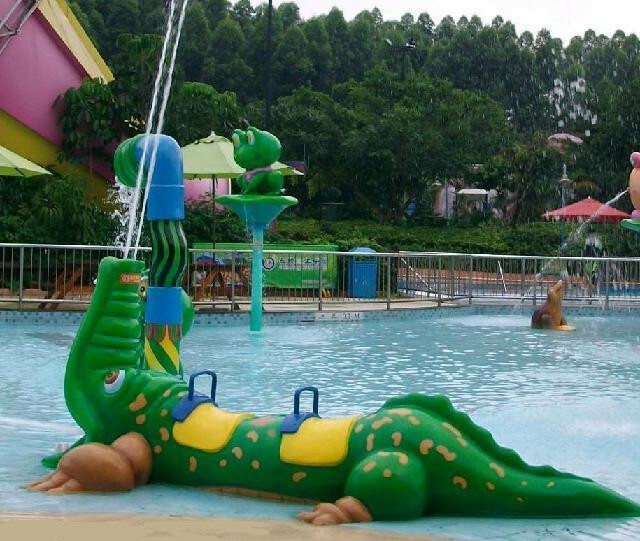 Depending on the child's interests and hobbies, the crocodile spray is designed for kids who like to drill, climb and slide ect. It is colorful, entertaining, functional and reliable. It brings a sense of safety, happiness and vitality to the children. 4. Stylish and vivid design that makes kids more fun and will play again and again.